Redlight Elite Royale 16 Smartcard - Buy at dreamportugal.pt! Redlight Elite Royal 16 - Watch some of the best adult content on Hotbird 13°. 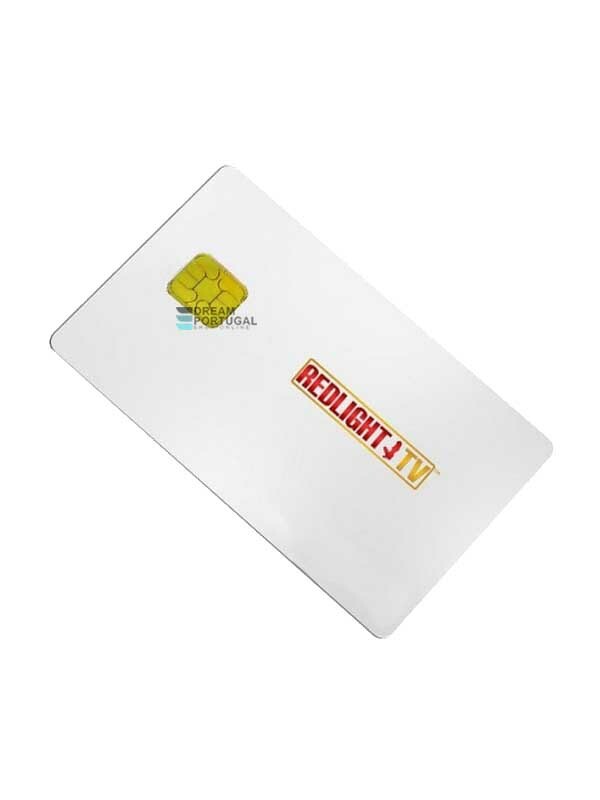 The Redlight Elite Royale smartcard includes 16 adult channels, enjoy the best movies with the best picture quality! To watch some of the channels it`s necessary an HD receiver and/or a SMIT Viaccess Orca Secure Dual CAM ACS 5.0. Please note that this smart card may only be operated in a Viaccess Secure CAM! If the card is operated in a non-Viaccess licensed device, the card may be blocked and lead to the loss of the subscription!